Otto Hostettler is an investigative reporter for the Swiss magazine BEOBACHTER. He stumbled over the Lockerbie case when he investigated the unexplained Swissair-Crash from 1970 (Würenlingen). 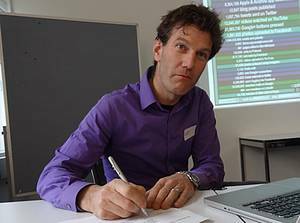 Otto Hostettler is a board member of the Swiss Association for Investigative Journalism INVESTIGATIV.CH (who is part of the Global Investigative Journalism Network, GNIJ) and a Co-founder of the association Lobbywatch.ch, a non-profit research-tool for journalists.